App Preview Messaging (APM) features for Google Play Services – Delvetech Software Pvt. Ltd.
Google allow you & me to connect with our friends easier through Android. There’s the idea of ‘APM’ that is now on preview mode, hoping to make connecting through mobile faster and more efficient. After launching the Duo video chat, instant messaging and internet giant rolling out a new features expected to be more than helpful for instant message. App Preview Messaging is part of Google Play Services on Android. It lets you send an Real Time Messaging to a contact from an app even if he doesn’t use the same app. This way, anyone can reach another contact even if you are using different apps. 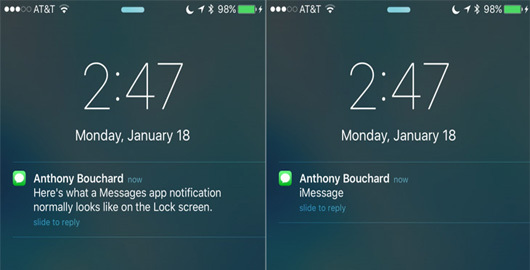 With this feature, there’s no way you can’t reach someone or receive a message from people. There’s no excuse now with App Preview Messaging. The feature is still being developed but the concept certainly has potential. For developers of messaging apps for Android, you can test out this feature by checking out the program. Feel free to access and test the by showing up in the notification shade. You can only read the message or a portion of it complete with the name of the sender, profile photo, and time. We’re guessing there will also be an indication for what kind of app was used to send the message.